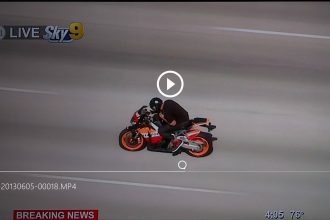 Motorcycle Racer Crashes & Gets Hit By Another Biker!!! This guy\’s day just did not end well at all. A couple of motorcyclists racing on a track at Eagles Canyon Raceway in Decatur, Texas. He takes a corner and then for some reason low sides his bike. He just crashed his bike and then to make it all worse another rider tries to avoid him but ends up crashing into him. Watch this mess unfold in just a minute. Motorcycle Crash Techniques to Avoid Injury! 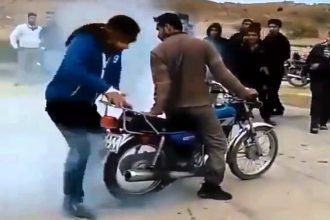 Motorcyclists Friend Ruins His Burnout In This EPIC FAIL!